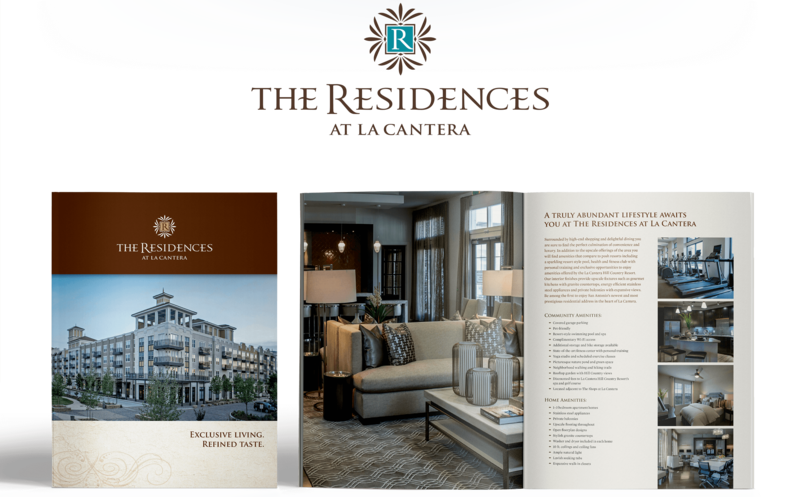 La Cantera is one of San Antonio’s most exclusive real estate developments. The development is based on a live, work, play concept that features high-end shopping, residential and commercial properties in one location. 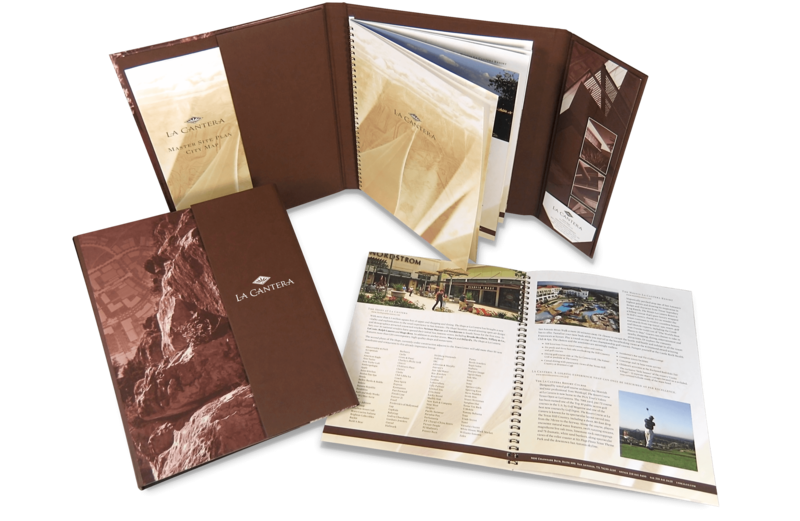 Our team designed the logo, produced marketing collateral and the website for the project. 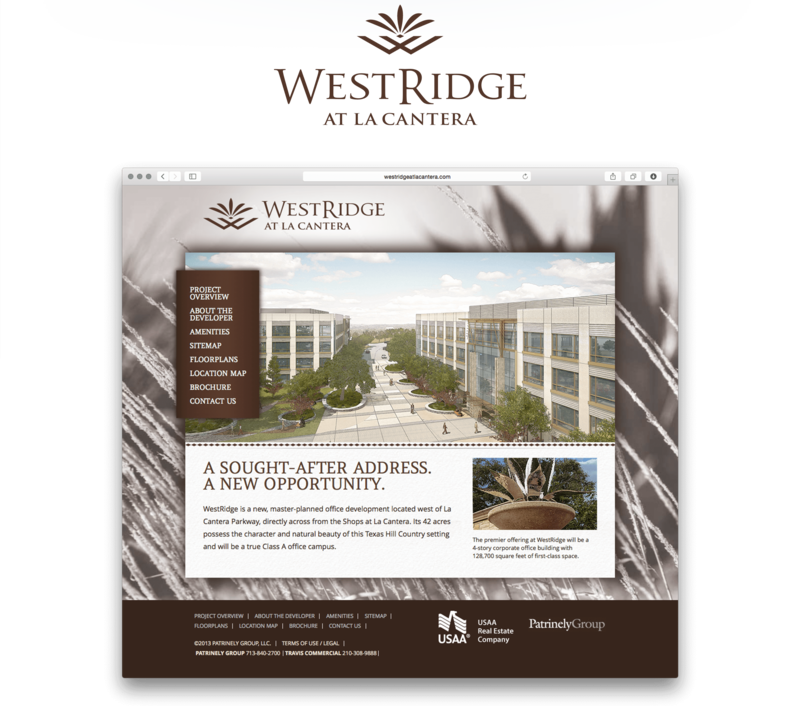 As new phases came online in the development, we created similar branding packages for The Residences at La Cantera, a high-end apartment complex and WestRidge at La Cantera, a commercial office campus.